After 10 months of filming, Sunseeker International is pleased to announce that the exclusive BBC Two documentary ‘Britain’s Biggest Superyachts: Chasing Perfection’ will be airing this Friday 15th April at 9pm. The programme sees the BBC film crew follow the build of Sunseeker International’s new 131 Yacht through to its launch. For the first time ever, the film crew filmed fascinating behind the scenes footage to capture the journey of the new 131 superyachts from concept to build at the manufacturing facility in Poole, and then through to final delivery. The 131 Yacht enables its owner to tailor every element of the interior design and layout to their personal preferences via Sunseeker’s unique ‘Bespoke’ service, which is highlighted in the documentary. 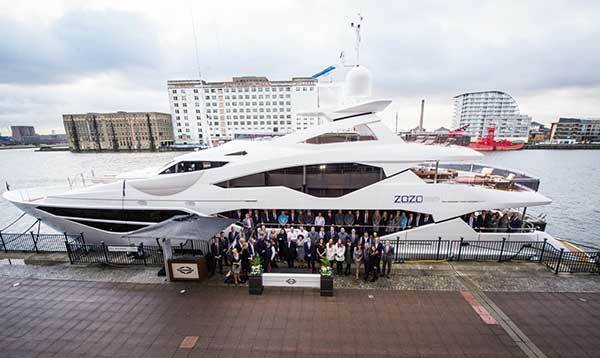 As well as documenting the build in its Dorset shipyards, filming also took place during the boat shows in the latter half of 2015 and at the London Boat Show this year, with several people from Sunseeker’s world-class team appearing in the one hour programme. Tune in to see Sunseeker on BBC Two’s ‘Britain’s Biggest Superyachts: Chasing Perfection’, Friday 15th April at 9pm.